Back in December, we had a letter for our first dating scan because we didn’t know how far I was so we were excited to go and find out. Both Tom & I were off work this week as we had been in Amsterdam for a couple of days for a little break so we didn’t have to worry about telling work yet. 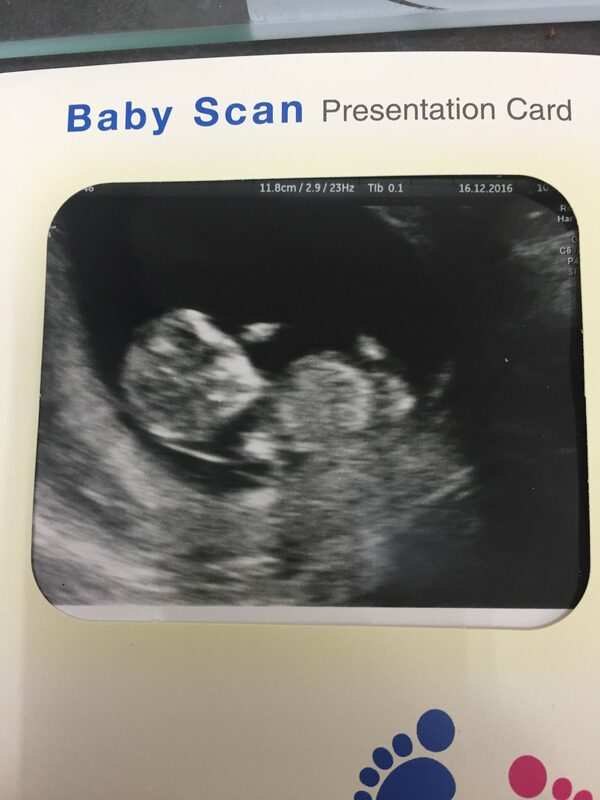 We had already paid for a private scan a few weeks prior so we were interested to see how accurate this scan was going to be and see if our due date we had been given had changed It had only changed by a day – Baby Cooper due 7th July. Baby is looking and growing well and we look forward to awaiting our letter for our 20-week scan to see our baby again. I have been really lucky in this pregnancy so far as In I haven’t been sick at all. We haven’t bought anything for baby yet as we are waiting till our 20-week scan to make sure everything is still ok and baby is growing well then we can start deciding on bedroom furniture and get a few little outfits etc. Our next update will be in a few weeks when we have our 20 week scan.